Maximum insulation, minimal weight. 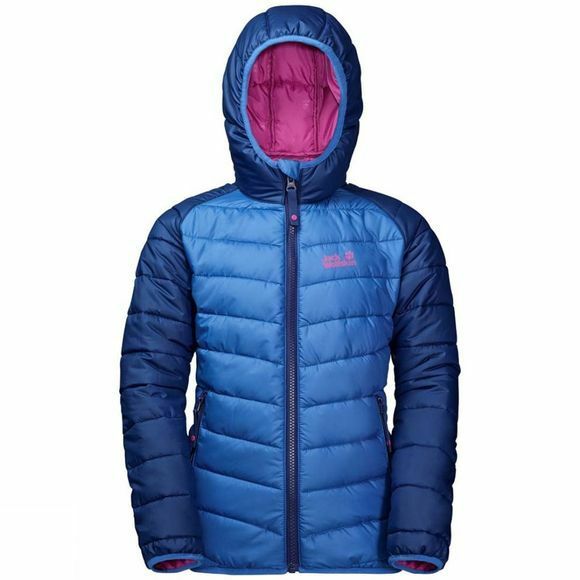 The Kids Zenon Jacket 14+ from Jack Wolfskin is a lightweight hiking jacket for active little winter fans.The tried-and-tested fabric makes the jacket windproof and very durable. And the fabric is also very light. 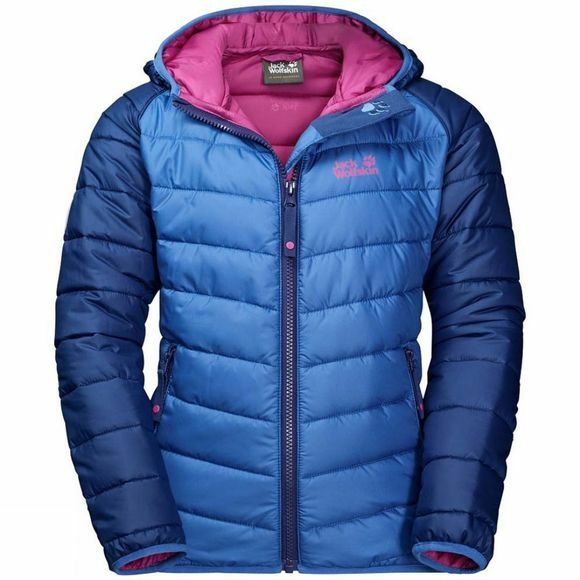 The jacket incorporates innovative synthetic fibre insulation for warmth you can rely on totally. The synthetic fibres have the advantage of being very robust and insensitive to moisture. Even if the insulation gets wet, it loses none of its thermal performance. So it will cope with brief snow or rain showers during a winter walk and will dry out again quickly. The hood is also warmly insulated. The jacket is equipped with two zipped pockets for your child's compass, muesli bar and other essential little items.